Free Ground Shipping. Usually departs warehouse next business day. Ships from California. 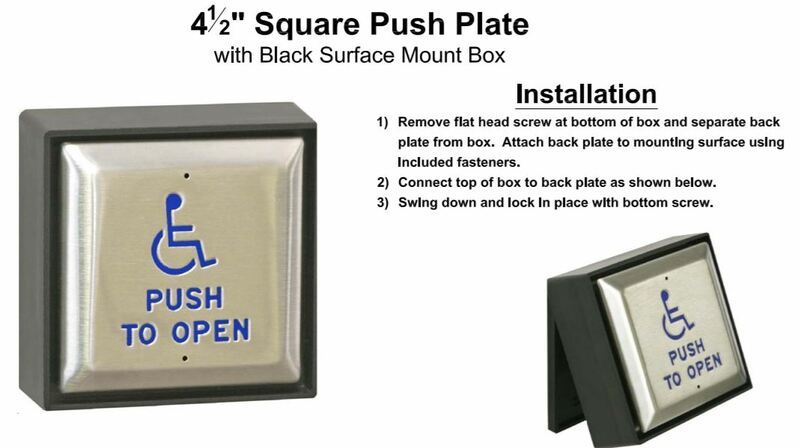 This push plate actuator is a perfect for indoor use. The stylish design is at home in any decor. The wireless application makes installation a breeze and elimenates the need to run low voltage wire.